Is new e-driver getting cured of his range anxiety’? It looks like in the Netherlands the new e-car driver is getting cured of his ‘range anxiety’. 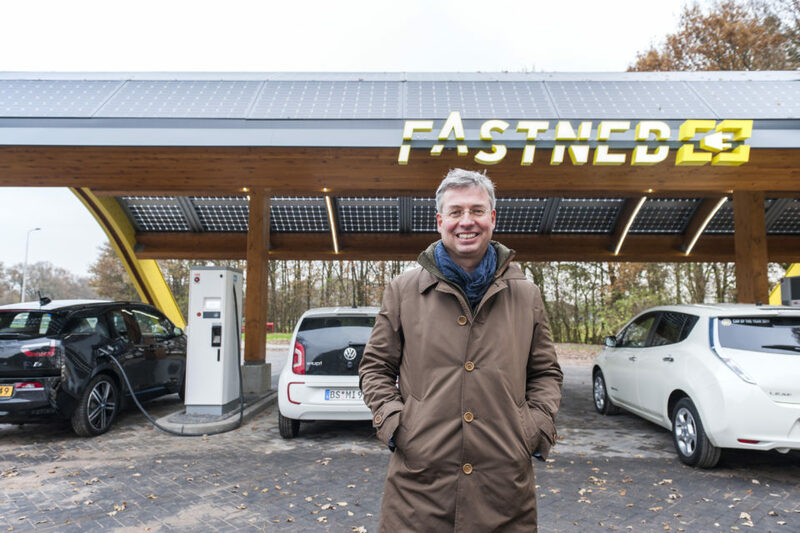 At Fastned, pioneering the first nationwide network of fast charging stations, they see their clients ‘behave more and more like petrol drivers’. “With the 150 kW chargers and the 350 kW chargers to come charging is done in about 12 minutes. The ministry calculated at some point that the average time to fill up with petrol is exactly as long if you take into account also going inside to pay”. Sales of the electric car has tripled last year in the Netherlands and went up to 24.000. This year probably 28.000 new electric cars will be sold. Total registered BEV fleet in Holland by the end of January 2019 added up to 47.381, plus 97.659 plug-in hybrids (PHEV). The Dutch are also European champions when it comes to charging infrastructure. End of January there were already 37.337 public and semi-public charging points in the country, of which 1.076 ‘fast chargers’. Fastned counts for 87 fast chargers in the Netherlands and Germany with two being built in the UK. Lubbers thinks the Dutch being among the forerunners worldwide in the number of EVs is partly due to the government’s early vision. “If you can’t charge it, it’s not interesting to buy an electric car. Luckily the Ministry of Ministry of Infrastructure was thinking about granting concessions already in 2012″. In 2012 Fastned was granted the right to build 201 EV charging stations along Dutch highways and to exploit them for 15 years. “Our mission is to have 1.000 charging stations in Europe. But this will take several years. Finding locations, getting permits, connecting to the grid,… It takes two to three years on average to have a charging station operational”, Lubbers adds. Meanwhile Fastned isn’t ready yet to communicate about their financial results. Last year the company realized a return of about half a million euro. According to Lubbers the company is able to cover the operational costs of every individual station, without counting the headquarters and interest costs. He claims Fastned manages to triple return each year. Fastned said in January it has 17.923 active clients and saw a growth of +185% compared to the last quarter of 2017. Its chairman, Michiel Langezaal, said earlier counting on 200.000 EVs to make a profitable business. Also last month Fastned, has won a legal battle to put shops and toilets at its stations along the highways. The Council of State blew the whistle on the Dutch State that wanted to reserve this right to the fuel station operators – the major oil companies – who pay a lot for such a license. 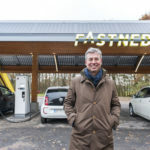 In July last year Fastned got a 1,4 million euro subsidy from the Connecting Europe Facility for the so-called ‘BENEFIC program’ to add 40 fast charging stations in the Netherlands, Flanders and Brussels, but those are yet to be built. Lubbers is quite sure about Fastned’s chances of survival with a growing competition. Like oil giant Shell which took over NewMotion in 2017 and is starting to equip its fuel stations with fast chargers or the German automotive industry joining forces with Ionity.